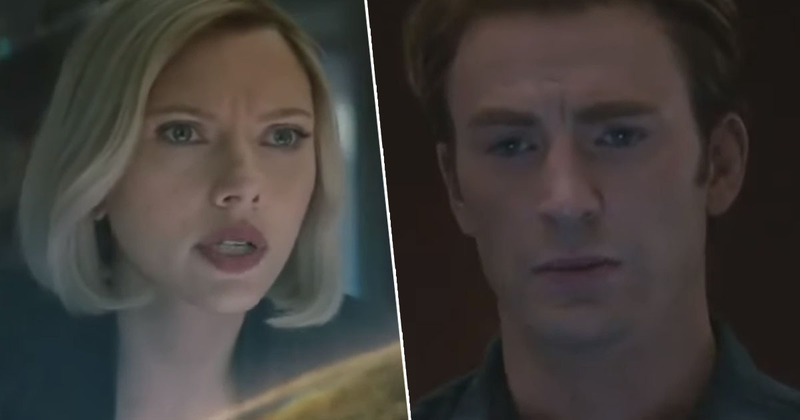 With just a couple of weeks left until we finally get to see the fate of the Avengers, Marvel fans are fit to burst with excitement. I know I am! Which is why I could hardly contain myself when Good Morning America dropped an exclusive clip into my eye holes straight from the hands of the Russo brothers themselves. Suddenly all trailers seemed irrelevant, because rather than a well-thought out and perfectly edited compilation of random moments from the film, we suddenly have an actual clip from the actual movie, meaning a real piece of the puzzle is now in our hands. Just a few days ago, we got the news – cutting it a bit fine – the Russo brothers left the Disney studios for the last time. According to editor-in-chief at Collider, Steven Weintraub, the brothers ‘had a few last VFX to get done. But the movie is now 100% locked’. So now the movie is ‘100% locked’, we can start seeing clips that are 100 per cent in the film! First up, it’s a scene which was teased in the trailer, but is now much more fleshed out. In it, we see Scarlett Johansson’s character Natasha Romanoff/Black Widow suggesting, with Carol Danvers/Captain Marvel agreeing, they should take the fight to Thanos and get the stones right out of his grubby (massive) hands, in order to reverse what he did when he snapped his fingers. Even if there’s a small chance that we can undo this, we owe it to everyone who’s not in this room to try. If we do this, how do we know it’s going to end any differently than before. Because before you didn’t have me. While James ‘Rhodey’ Rhodes asks Danvers where she’s been all this time, she coolly replies, y’know, there are other planets in the universe, and not all of them ‘are lucky enough to have you guys’. This seems to stir something in our Norse god Thor, as the clip ends with a little staring competition between him and Danvers. The tension is palpable, especially when she doesn’t flinch as his impressive axe flies past her head, but it’s all good, he likes her. And I like this clip! Get me to the cinema! Avengers: Endgame will be released in the UK on April 25 and in the US on April 26.